“The Artist” may be the subject of many cynics who haven’t even seen the movie yet. There’s no point of trying to figure out why. It’s clear that people without a high outlook on film (early film, in particular) aren’t interested in seeing a silent film in black-and-white. Yes, “The Artist” is the first silent film released in cinemas since Mel Brooks’ 1976 satire “Silent Movie.” And it doesn’t just pay homage to the silent film—that would be understating it, really. It really does tell a story with emotions, movement, and music…and it happens to be presented in black-and-white, filmed in 1.33:1 ratio, and mostly without a sound or line of dialogue. Oh, there are subtitles—83 of them, if I counted them all. 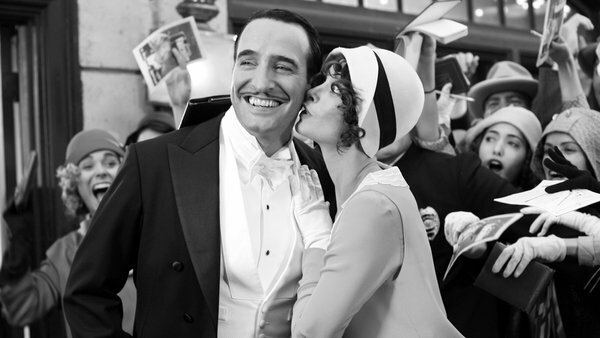 “The Artist” does start out as homage to silent film, and a wonderful one at that. It starts with the lay-about opening credit cards and even begins the story in 1927 as a silent adventure film is shown within this silent film. This film within the film is wonderful on its own. It has the same energy and spirit that most adventure films back then. It stars George Valentin (Jean Dujardin), the world’s number-one silent-film star, who knows his fame and wallows in it. He seemingly has more power than the directors and producers who cast him. After the film’s premiere, George poses for a photograph with an attractive fan—a young dancer named Peppy Miller (the radiant Berenice Bejo). Peppy decides to try acting and appears as an extra in George’s next film. But it turns out that Peppy is about to have the same amount of fame that George has. You see, silent films are making way for “talkies” (sound movies), which, for George, means his career is over. His executive producer (played by John Goodman) breaks the news that the studio is all about sound now. George doesn’t realize what’s to become of him until he funds his own film, which ultimately flops. Peppy’s new starring role in a talkie, however, gets everyone talking (forgive the pun). She’s a star now—she’s headlining the newspapers, people are raving about her radiance, and she’s become America’s sweetheart. She stars in film after film, but George is in financial trouble, even going as far as to selling all of his possessions. He also fires his loyal chauffeur Clifton (James Cromwell), leading to a heartbreaking goodbye: “But I don’t want another job,” as a subtitle (and Cromwell’s face) states. But since George got Peppy interested in acting and is also responsible for her beauty mark above her lip (brushed upon, mind you), Peppy still cares for George and tends to him when he most needs help. The first half of “The Artist” is lovable—I can’t tell you how much I was enjoying myself. I was laughing quite a lot (some of them came from the antics of George’s well-trained dog), but mostly, I was smiling. The orchestral music that plays throughout, composed by Ludovic Bource, is a definite tribute to music telling a story. But the music isn’t only what helps make the film come alive. If it did, I’d be criticizing the acting. But all of the actors are forced to carry their character’s emotions, use excessive body language, and make it all credible. And because the film is shot in this 4:3 ratio, it gives the actors opportunity to make use of their limited space. 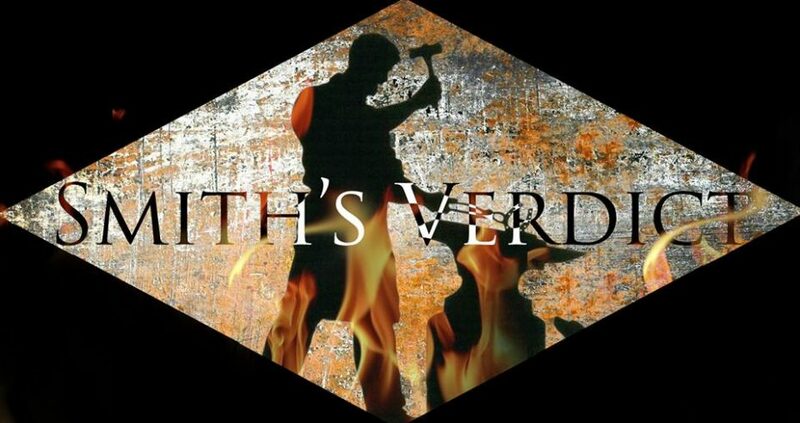 Then the second half develops into something stronger, as George Valentin’s life goes down the drain. It’s telling a story. I cared about this suave, likable guy and was hoping that he can catch another break to get his life on track. All this man knows is the entertainment value he put into his work and the appropriately-named Peppy would like nothing more than to bring it back for him, while her own fame is increasing. This is all very strong and very well put together. There’s one scene in particular that really got me—it’s midway through the movie and George has realized what little he has in life anymore, so he tears apart all of his films and burns them. The music and acting bring about the sheer intensity of the scene. And that’s not the end of the film. I wouldn’t give away how everything turns out, or even if everything works out, but it’s all very fitting for the film. True effort was put into “The Artist” to make it into something special. Everything, from the script to the execution to the acting to the music to the overall spirit, adds to the charm and whimsy of this treat of a movie—enjoyable, entertaining, and beautiful. I love this movie.